Additional shipping charges will apply for Canada customers. You will not be billed for total shipping price at the time of purchase. After we have received your order we will contact you with information on the shipping charges. 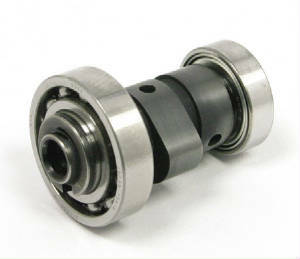 Takegawa Roller Rocker kit and performance camshaft for the FI Zuma 125. 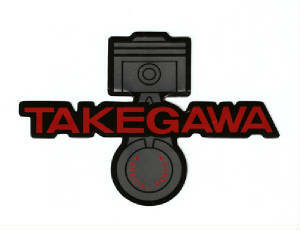 Takegawa design of the new ROLLER ROCKER ARM design as well as the matching roller camshaft design. 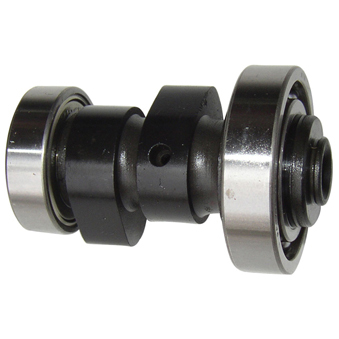 More lift with out the disadvantages of valve and rocker bounce and well as lower rotating friction and less parasitic losses associated with high lift camshafts. This kits installs in your stock head that is set up for FI. 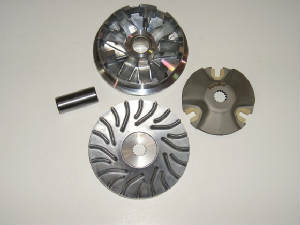 The A9 is most popular cam shaft used when doing upgrades for power take off. 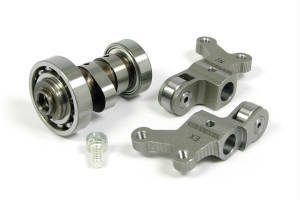 Camshaft, Takegawa performance cam for your Zuma equipped with a Fuel Injection unit. 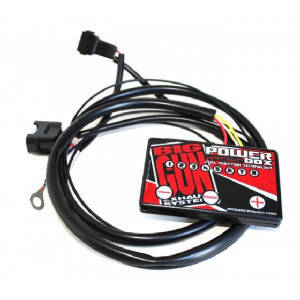 Higher lift and more duration allowing your motor to have more over Rev and more high end horsepower. For use with your stock head set up. Will not work with the Takegawa Roller Rocker Arms. Must be used on the FI motors only. 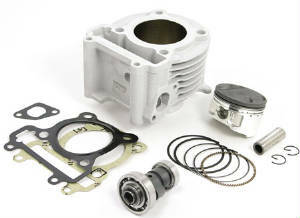 The new cylinder kit equipped with CDI for Yamaha 125 4-stroke engines was born! 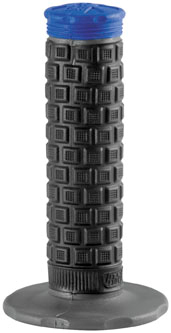 Force Master 1 is the innovative CDI which allows to change the injection in order to fit perfectly the new Malossi 4-stroke cylinder kit. - Three - piece scraper ring made of chromium-plated special steel. 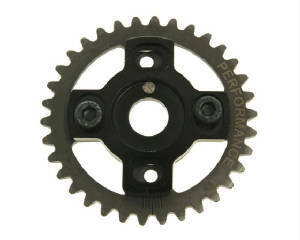 Adjustable camshaft wheel for timing adjustments. Careful installation required to avoid valve contact. You should know and understand 4-stroke scooter engines before carrying out this work. 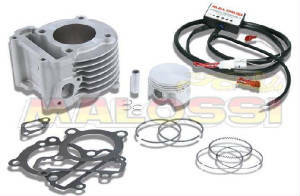 Big Bore aluminium cylinder kit with 155cc capacity for Yamaha ZUMA 125cc 5ML engines. This cylinder is an aluminium / ceramic cylinder with a hard chrome-plated 58.5mm cylinder bore. Aluminium cylinders have better heat dissipation than standard 4-stroke cast iron with steel bush. 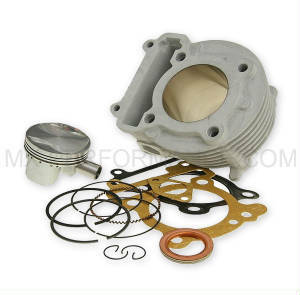 This cylinder kit can be operated with the original cylinder head Another highlight of this kit is the forged pistons.. For much more durability and reduced friction. 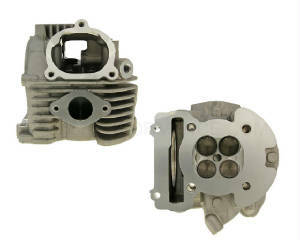 The increased piston head also ensures a higher compression. Supplied as shown. For use on big bore cylinders for Yamaha 5ML engines. The fully pre-fitted cylinder head features stiffer valves and springs. 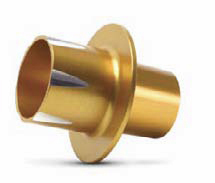 The inlet valves have a diameter of 22.3mm and the exhaust valves 20.3mm. 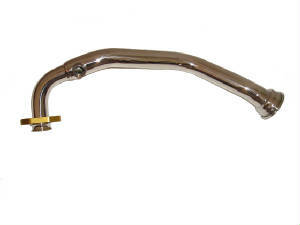 Inlet connection: 25mm, exhaust has a cross section of 24mm. Not for 125cc original cylinders. 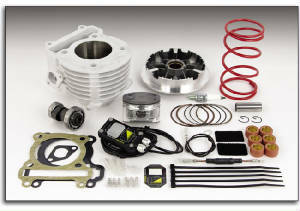 Bore kit, 155.6cc Privateer Racing. 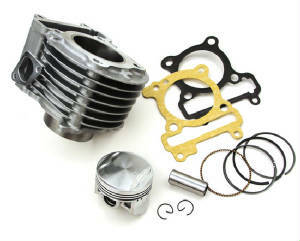 High compression fully machined piston with Japanese piston ring set as well as a head and base gasket set up. 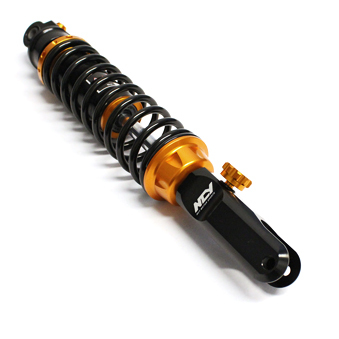 Aluminum cylinder with precision machined steel sleeve and piston pin and cir-clips. If you are looking for a high grade well thought out bore kit for a bargain price, this will be one of the best bangs for the buck. 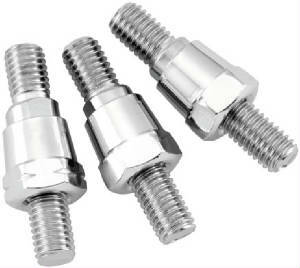 Give your Yamaha Zuma 125 some extra kick with this bolt on 158cc big bore kit. 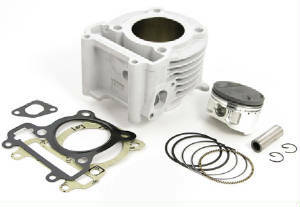 Don't forget that unlike most scooters, the Yamaha Zuma 125 is a Fuel Injected Scooter, and in order to get this cylinder kit to perform properly, you must purchase a Fuel Injection Module. We recommend the Two Brothers Juice Box. 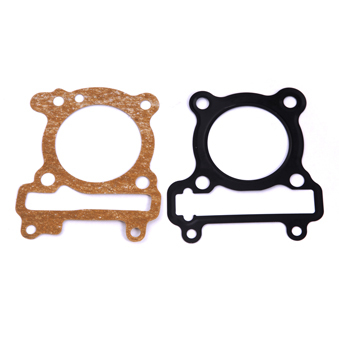 Installation of this kit will require boring on your motor cases. Bore kit, 155.6cc Takegawa S-Stage with performance Camshaft. 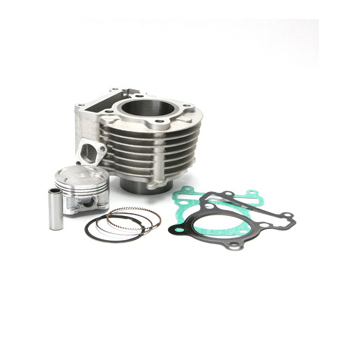 Kit comes complete with a High compression piston complete set of piston rings and wrist pin, Performance cam with increased lift and duration for more over-rev and top end performance, gasket set as well as a Nicasil Cylinder. 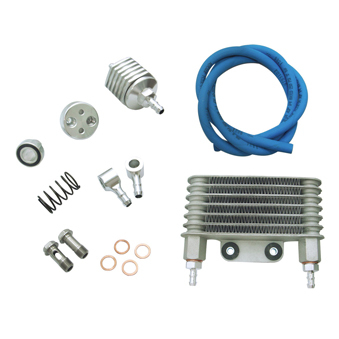 All of theses items are specifically designed to run with your stock cylinder head and components. Bore kit, 155.6cc Takegawa S-Stage. 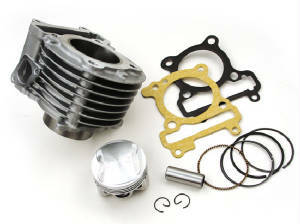 High compression piston and ring kit, Gasket set as well as Nicasil Cylinder. This is the same bore that is included in item Y74, less the performance camshaft. 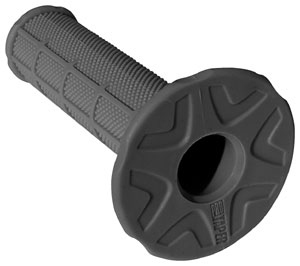 Direct bolt on upgrade! Lower oil temps equal better gas mileage and longer engine life. 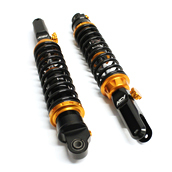 This is a great upgrade for any bike, performance oriented or not. 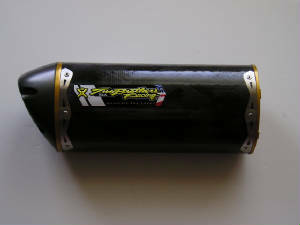 CNC brushed aluminum fan cover from NCY for the Yamaha Zuma 125. 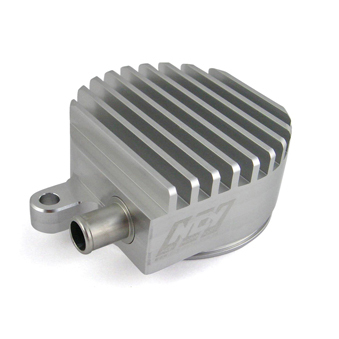 This high quality billet aluminum cover looks good and and allows for better air flow to the fan. Includes mounting hardware. 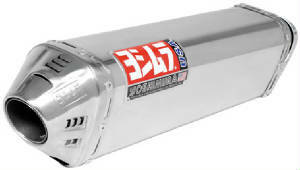 Canister shown in this image is a 14"
Yamaha Zuma 125 (2009-13) V.A.L.E.™ Complete Exhaust System - M-2 Titanium Canister 14"
Yamaha Zuma 125 (2009-10) V.A.L.E.™ Complete Exhaust System - M-2 Titanium Canister 10"
Canister shown in this image is a 10"
Black Series canister orientation and size may vary depeding on your bike's application. Canister shown above is a default image for visual purposes only. 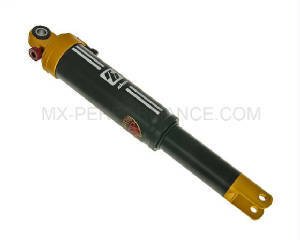 To see which M-series canister your bike will actually recieve, please go back to your back's info page. 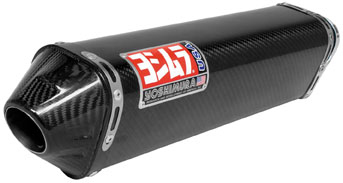 Yamaha Zuma 125 (2009-13) V.A.L.E.™ Complete Exhaust System - M-2 Carbon Fiber Canister 14"
Yamaha Zuma 125 (2009-13) V.A.L.E.™ Complete Exhaust System - M-2 Carbon Fiber Canister 10"
BLACK SERIES - Our prestige line of high performance exhausts! 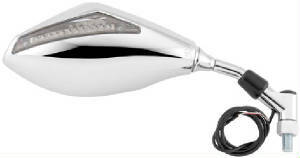 Yamaha Zuma 125 (2009-13) V.A.L.E.™ Complete Exhaust System - M-2 Aluminum Canister 14"
Yamaha Zuma 125 V.A.L.E.™ Complete Exhaust System - M-2 Aluminum Canister 10"
Yamaha Zuma 125 (2009-13) V.A.L.E.™ Complete Exhaust System - M-2 Aluminum Canister 10"
Yamaha Zuma 125 (2009-13) Black Series V.A.L.E.™ Complete Exhaust System - M-2 Aluminum Canister 10"
Directs fresh, cool air into the Zuma engine's intake for better power, cooler operating temperatures, and better MPG. 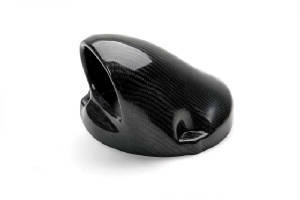 Made from light-weight, durable dry carbon and installs in minutes; no cutting or modifying parts. 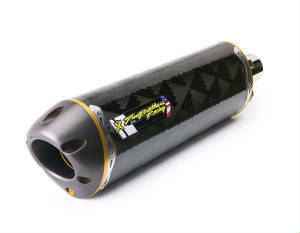 Race-proven power is what you get with an EVO S series exhaust. 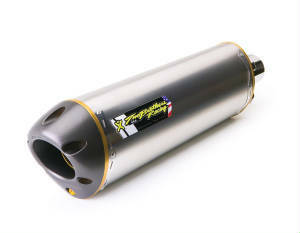 If a performance-driven, quality-made exhaust system is what you are after, look no further. 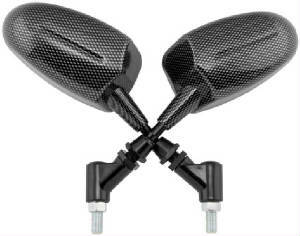 Our EVO S series is offered for a variety of sport bike models in an array of different slip on and full system options. Take what has been developed and proven on the track and bolt it directly onto your bike to feel and hear a night and difference over stock. 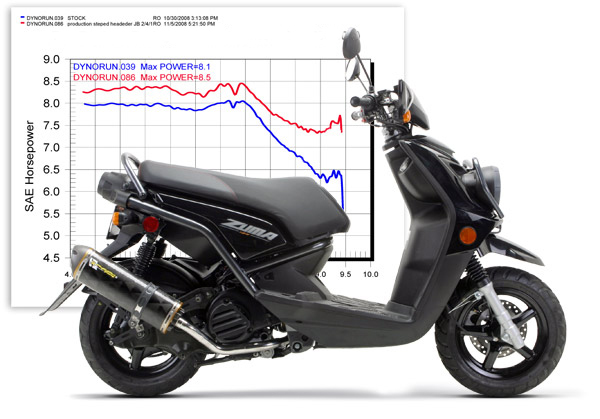 Takegawa performance Variater Drive Face for Zuma 125cc Improves Top speed of your bike. 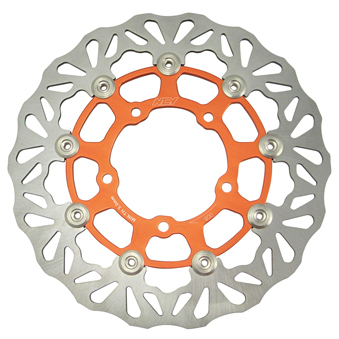 With high friction pads, this is a great upgrade for a stock or performance machine. The light weight pillows allow for quicker spool and higher revs. 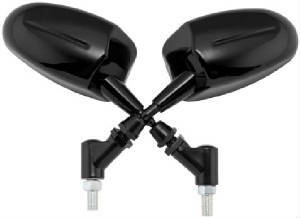 Or, you can install the weights for a quicker hook up and low end grunt. 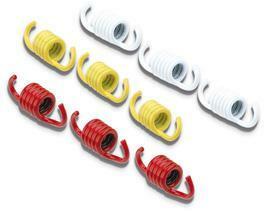 This Super Trans Kit is one of the best dollar-for-dollar bolt-ons to improve your bike! 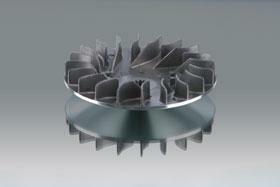 Quicker accelleration, higher top speeds, and makes your CVT the smoothest operating trans around! From rapid down shifting to slow cruising, this thing is smooooth. Ultralight balanced components, oversized wear pads, and state of the art Teflon coatings ensure superior performance and long service life. 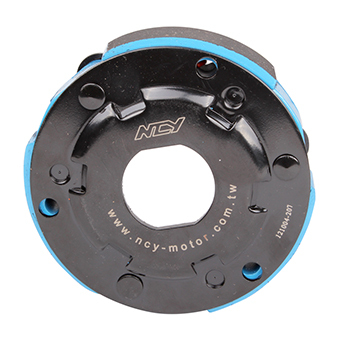 High-quality reinforced clutch bell by NCY. 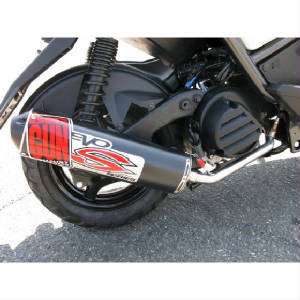 Has provisions that allow dust to escape and air to cool the clutch and a high-friction surface for more bite. 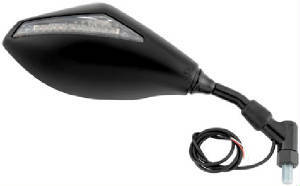 For Yamaha Vino 125 & Zuma / BW's 125 scooters. 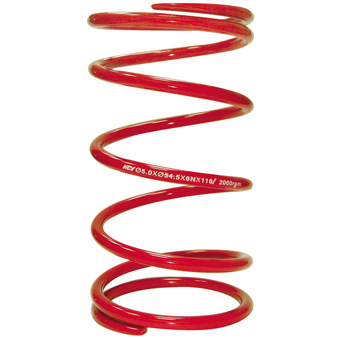 Compression springs do a couple of things. First they supply the pressure to engage the belt. They also determine the rate at which the CVT transmission changes from low to high gear. 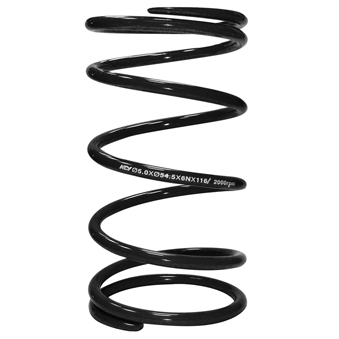 A 1000rpm spring will go into a higher gear sooner than a 2000rpm spring. 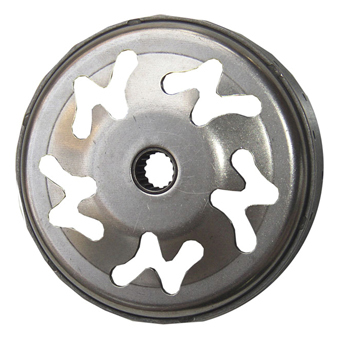 This NCY 1000 rpm compression spring is specifically for the Yamaha 125's. 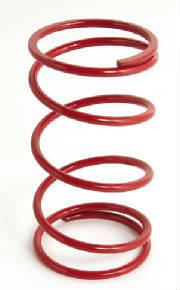 A 1000rpm spring will go into a higher gear sooner than a 2000rpm spring. 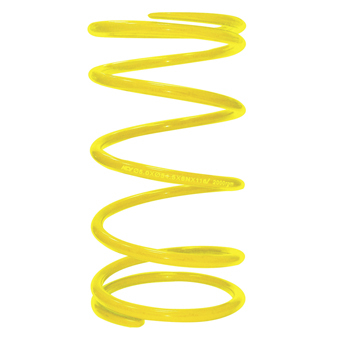 This NCY 1500 rpm compression spring is specifically for the Yamaha Vino 125 & Zuma125 / BW's125. 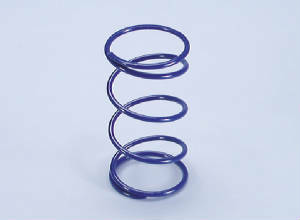 A 1000rpm spring will go into a higher gear sooner than a 2000rpm spring. 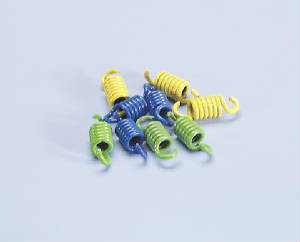 This NCY 2000 rpm compression spring is specifically for the Yamaha Vino 125 & Zuma125 / BW's125. 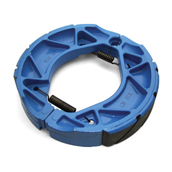 Floating brake disks provide benefits in overall braking performance in several ways. First, floating rotors allow for an aluminum center hub. 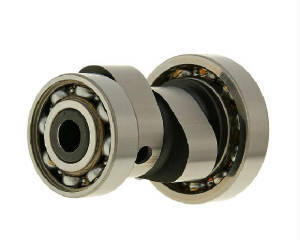 Being light weight and unsprung, the aluminum center hub is accelerated, and decelerated more quickly than a standard steel disk contributing to the overall performance of the vehicle. Second, because the steel portion of the disk is separated from the center hub, it is allowed to expand and retract more uniformly than a single piece disk. This results in a higher tolerance to abuse and high temperatures. 1000-1271, Caliper relocation bracket sold separately. 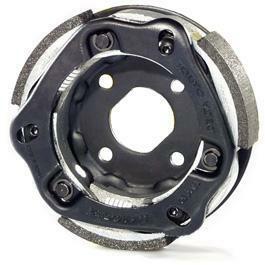 Brake caliper adapter to be used with 260 mm NCY brake rotor (1000-1098). 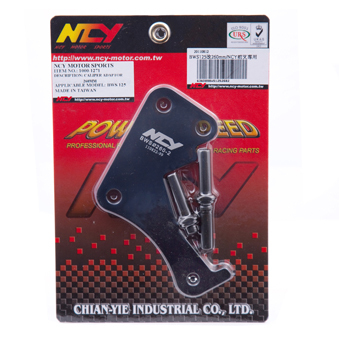 NCY High Performance Grooved Brake Shoes - Yamaha High friction grooved linings, efficiency improves with heat. 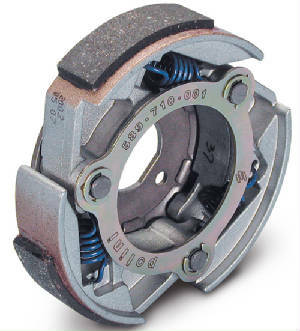 NCY Blue Series brake shoes are made using high pressure Die cast aluminum platforms with bonded brake linings. 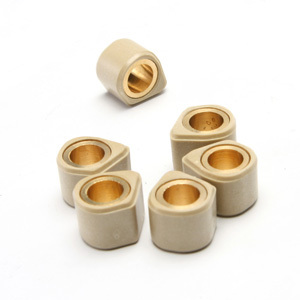 All shoes are radius ground and edge trimmed and also feature lead in and lead out chamfers at lining ends and original equipment style brake shoe springs. 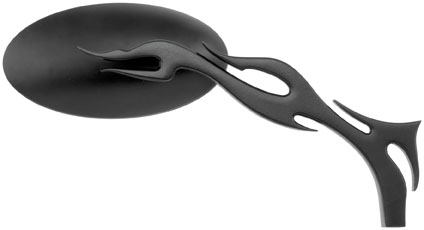 Floating brake disks provide benefits in overall braking performance in several ways. 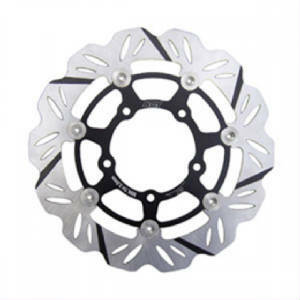 First, floating rotors allow for an aluminum center hub. 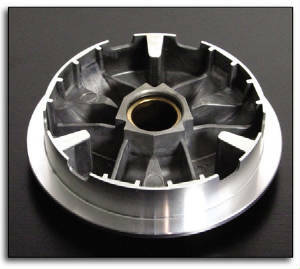 Being light weight and unsprung, the aluminum center hub is accelerated, and decelerated more quickly than a standard steel disk contributing to the overall performance of the vehicle. Second, because the steel portion of the disk is separated from the center hub, it is allowed to expand and retract more uniformly than a single piece disk. This results in a higher tolerance to abuse and high temperatures. Caliper relocation bracket sold separately. 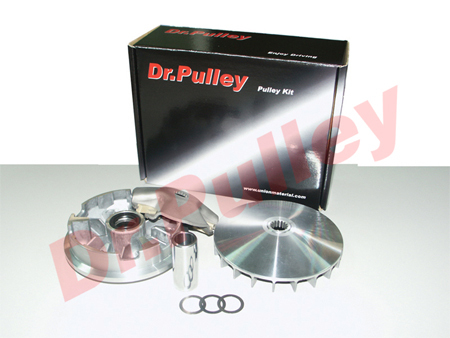 This high performance variator from Dr Pulley is designed to increase performance over stock variators. Precision engineered ramp plates create less friction on the rollers or sliders, allowing them to adapt more rapidly to changing driving conditions and resulting in less wear. The longer angle ramp plates in the Dr Pulley variators allow for faster and smoother engagement at all speeds, and allow lighter weighted sliders to fully extend to make the most of your CVT system. 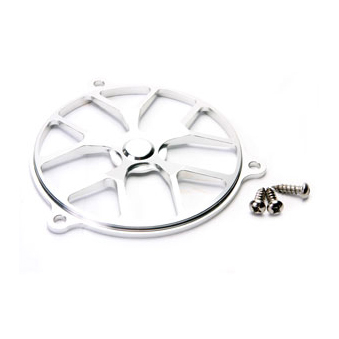 The Dr Pulley variator comes with the variator, fan plate, and center boss pin. Rollers or sliders not included. 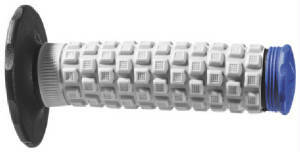 The slide design prolongs life and has the best performance of any weights. Proven to out perform other weights. 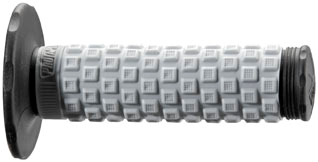 These sliding rollers perform better than standard round weights by allowing the variator to open farther for higher top speeds. 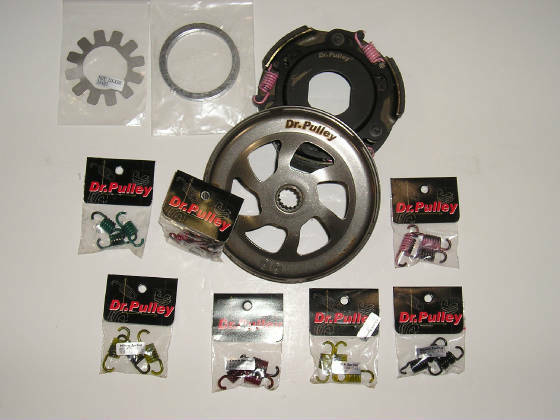 DR PULLEY SLIDE WEIGHTS 20X12 YAMAHA ZUMA 125. 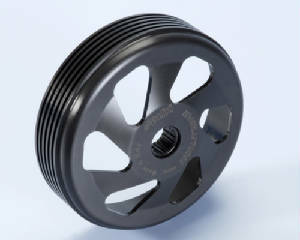 The mobile driven split pulley comes from our racing department's many years of experience, and is manufactured with the best possible special nitrided steels in order to ensure a long life. 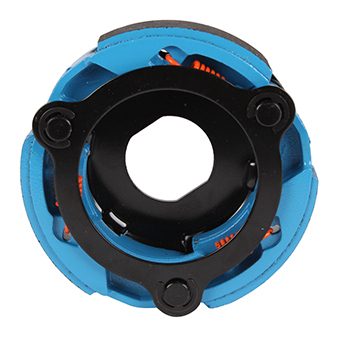 POLINI race clutch more torque and more power to the rear wheel. 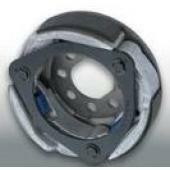 1 Clutches have friction material without asbestos and with patented adjusting system. 2 MAXI DELTA CLUCTH allows from 3 to 9 different adjustments simply working on three fixing screws, and from 9 to 27 changing the setting springs and shoes, according to the model of the vehicle. It obtains high r.p.m. at the moment of traction to give excellent initial acceleration. 3 The perfect operation of this automatic device is fundamental to obtain a good start from standstill, and to exit from tight bends where the speed of the vehicle decreases. 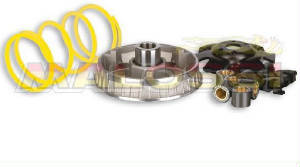 The advantages offered by these clutches when compared with the standard ones are huge, even for a road vehicle, because they allow sophisticated tune-ups for a very wide range of engine revs. 4 Maxi Delta Clutch is marketed with a sport tune-up, coupled with a range of optional accessories that allow a race setting at the highest levels. 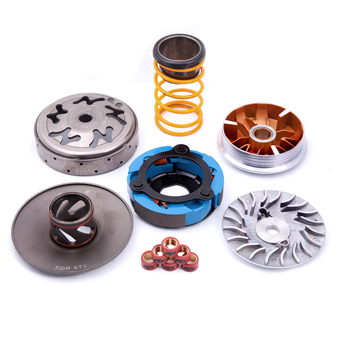 5 Maxi Delta Clutch is adaptable for both competition and city and sporting use: these clutch assemblies were designed by Malossi, who is directly in control of their production, materials choice. 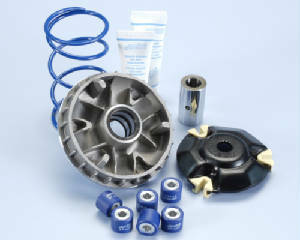 6 Differents kits of components for the personalised set-up which allow you to increase enormously the Maxi Delta Clutch setting range, are supplied on request. 7 We all know that clutch behaviour only affects acceleration, and not speed, therefore there are no certification problems for these devices. 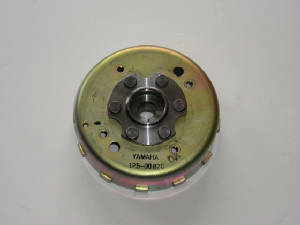 Yamaha Zuma 125 Takegawa Heavy Duty Clutch spring for the clutch assy. 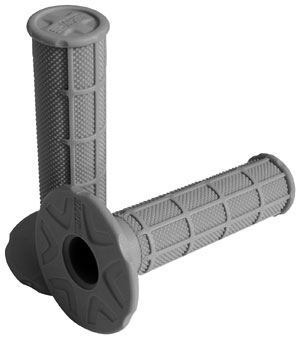 Designed to give 15% more adhesion than stock. 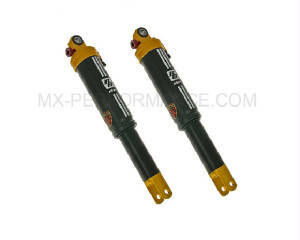 NCY high performance rear shocks for the Zuma 125. Sold as a pair.